A hands-on experience in Zambia's Nakatindi Village. Travel not only introduces teens to foreign cultures and teaches them about world history, but it can also make them better stewards of the planet and even help prepare them for their future careers. To this end, Virtuoso advisors recommend developing a strategic travel plan before teens enter high school, one that’s informed by their interests and potential job paths. These trips can help kids forge their values and identity before they leave the nest, giving them a strong advantage going into adulthood. The teenage years are also a time when travel can be richer. “Younger families tend to stick to resorts and beaches, but families with older kids can more readily appreciate culture and diversity, and be more active in exploring their interests,” says Kay Merrill, a Virtuoso advisor from Larkspur, California. Experts agree that the where to travel is less important than the why, as we discover through the ideas the below. Discover more ideas here, with cities, campus tours, and how to become a global citizen. As an academic exercise in memorizing dates, history often gets a bad rap. But travel – from seeing dinosaur prints in Utah to contemplating Egypt’s pyramids – brings history to life and makes it relevant to the present. Having reached the age of intellectual reason, teens can digest the achievements of historic cultures rich in science and letters, spanning the ancient Greeks and Romans to the New World’s Maya, Aztecs, Inca, and Navajo. CLOSE TO HOME: Explore the great Mayan cities of Mexico’s Yucatán Peninsula to learn about the culture’s advanced knowledge of planets, seasons, mathematics, and more. 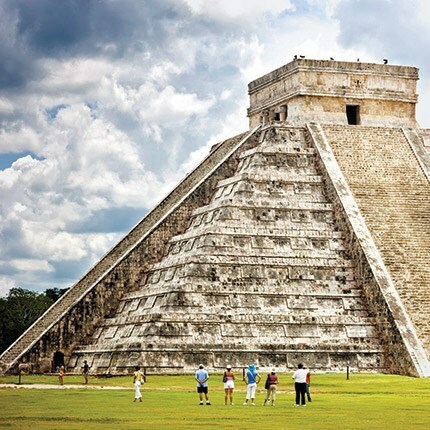 Blue Parallel offers eight-day customizable trips to Chichén Itzá, Uxmal, Edzná, and Campeche’s Museum of Mayan Culture that also fit in some beach time and stays in hospitable haciendas. FARTHER-FLUNG: National Geographic Expeditions’ seven-day Peru family trip takes guests to the mountain citadel of Machu Picchu and includes a hands-on weaving lesson at the Sacred Valley’s Center for Traditional Textiles. Nature is a ready classroom that manages to harness the native energy of teenagers, who are often more keen to do than to see. It also forces travelers to engage with the world, not a screen. The more remote the travel, the more likely your family is to slip the grid and return to that much elusive face-to-face time. “Whenever you can pull your kids away from the hustle and bustle of their daily lives, you’re more likely to get them away from their digital devices and make real memories,” says Chad Clark, a Phoenix-based Virtuoso advisor who often recommends African safaris for families hoping to get away from it all. 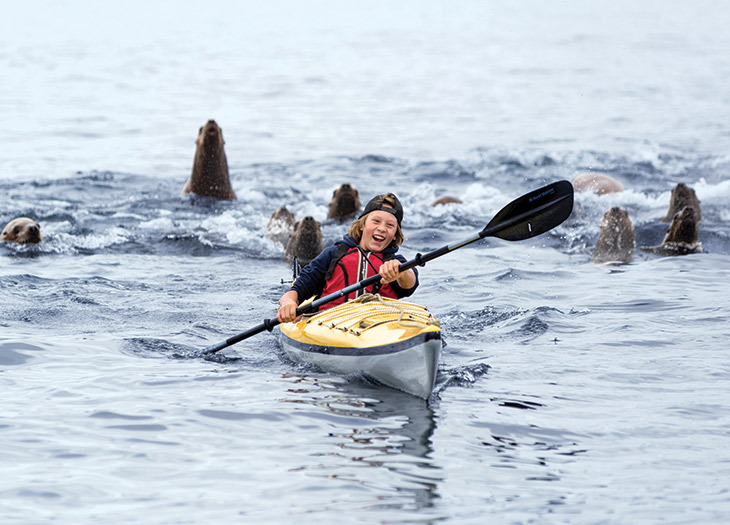 CLOSE TO HOME: The small-ship line UnCruise Adventures trades ports in Alaska for extended time in the wilderness, anchoring in pristine bays, launching kayaks, and guiding hikes on game trails. The company’s eight-day Discoverers’ Glacier Country cruise even over-nights in Glacier Bay National Park. FARTHER-FLUNG: Lindblad Expeditions’ new 96-passenger National Geographic Endeavor II visits the Galápagos Islands year-round. Ten-day itineraries provide ample time to observe the setting that helped inspire Charles Darwin’s theories of evolution and natural selection. Onboard naturalists and National Geographic-certified photographers help guide excursions to hike among endemic lava lizards or snorkel with sea lions. Helping kids cultivate a sense of gratitude is a long-term objective in the parent playbook. But making time for philanthropy while you’re vacationing can be a powerful promoter of the practice. Travel operators in remote regions, such as Aqua Expeditions, which cruises the Amazon River, encourage visitors to bring school supplies for children they’ll encounter in villages. Others organize more in-depth involvement that may span several days or perhaps an entire trip. CLOSE TO HOME: The 181-room Four Seasons Resort Costa Rica at Peninsula Papagayo operates a robust outreach program to support local communities. Guests can volunteer with students by reading to classes, teaching arts and crafts, helping with school maintenance – even playing soccer. kiwi bird or tour Zambia’s Nakatindi Village by bike as a way of patronizing shops set up by the charity to provide transportation to villagers and improve the local economy. Before the kids leave home, explore your family history together. The experience is bonding for everyone and teaches children to appreciate where they came from and who helped get them there.